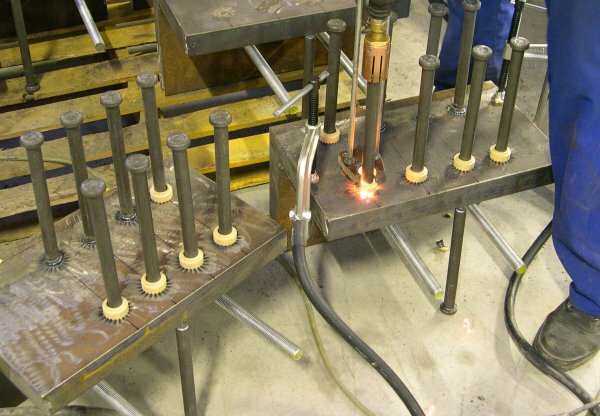 THOMAS Welding Systems is a European manufacturing company with over twenty-five years of experience in the manufacturing and worldwide distribution of Stud Welding products. Our product lines cover the full range of Headed Shear Connectors. Our TW Headed Shear Connectors are available in any required length above the standard minimums. For other sizes, please contact us. This material specification defines the parameters for ASTM 108 Low Carbon Steel of the grade C1015 for use in manufacturing Weld Stud Shear Connectors. 450 - 600 N/mm2 min. Mill certificate must have Ultimate Tensile, Yield Strength and Elongation test results. 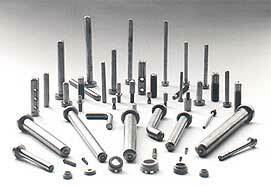 For all orders, we can supply a certification that certifies that the weld studs supplied have been manufactured to those specifications. On request, a certification issued by a Belgian laboratory, BELTEST accredited, can be done. BELTEST is signatory of the multilateral agreements established by EA (European Co-operation for Accreditation) for the fields "testing" and "inspection" and by ILAC (International Laboratory Accreditation Co-operation) for the field "testing".